Always a volcano nearby. Riding north of Quito. Ecuador is a favourite starting point for many first-time South American travellers. It’s small and easy to get around in. 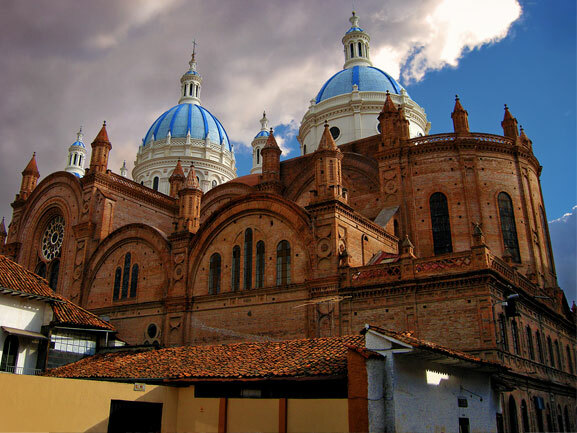 It has Andean culture and colonial architecture. It uses the US dollar as its currency. It’s the gateway to the Galapagos Islands. It also has a reputation for being a relatively peaceful country, used to hosting foreigners. For these reasons, Ecuador is many people’s first glimpse of Latin America. For cyclists, Ecuador has some big hills to climb, though I found none as long as Bolivia’s big climbs, nor as steep as Cuba’s. Many of the main roads are paved, which makes for some faster-than-average touring (for an Andean nation). At least one major exception is the road south of ex-pat haven, Vilcabamba, which is all mudslides and hills the entire way to Peru (at least, that’s how it was when I rode it). Early morning in Otavalo, setting up for the market. Ecuatorianos are friendly toward and familiar with foreigners. Remember, you’re on a well-trodden section of the Gringo Trail here so you won’t be blowing any minds when you roll into town. With a higher level of tourism comes a higher level of petty crime. 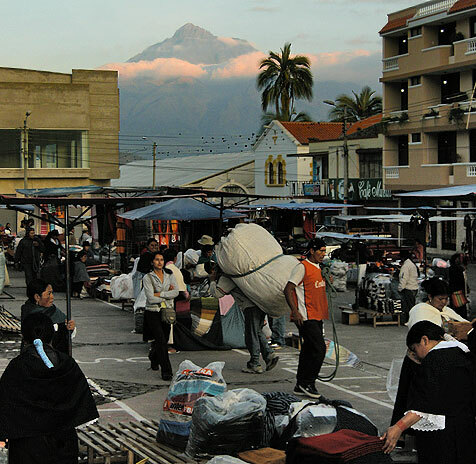 Ecuador is one of the easiest places to get pick-pocketed in South America. Remain vigilant in cities and on city buses. If Ecuador had been the first country I visited in Latin America it probably would’ve inspired me the way Peru or Venezuela or Argentina did. Instead, I think of it as no more than a sweet little pocket of the Andes. Good riding, good food, and an easy-going vibe. 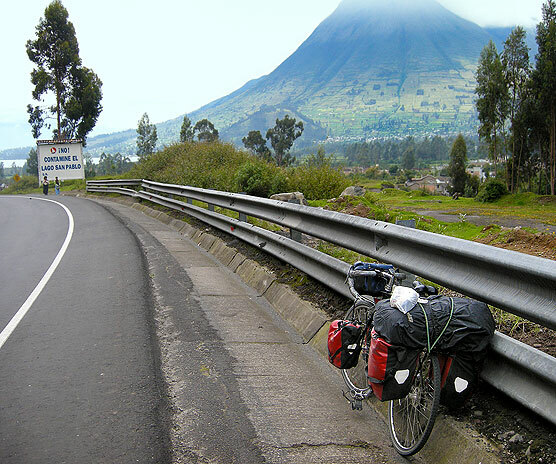 A place to enjoy the simple pleasures of bicycle travel in Latin America. 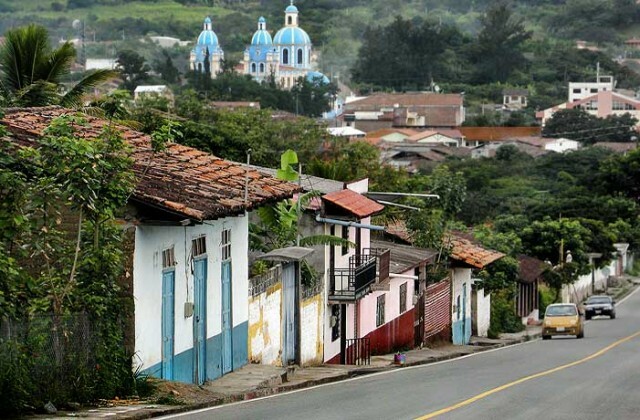 Feature image (top of page): Loja province.